Mapping a grand strategy to strengthen and enhance America’s role in the world. Part Two: The United States desperately needs to formulate a grand strategy that reinforces the domestic foundations of American power while providing strategic guidance and direction to the nation’s actions in foreign policy. America must adapt with new ideas, tools and innovations if it is going to meet the opportunities and challenges of a rapidly changing world. To be successful, this strategy must embrace several overarching themes. First, the United States must remain committed to playing a leadership role. While a deep and painful economic downturn followed by a slow recovery has dimmed the American public’s interest in global leadership, the costs of inaction are simply too great to contemplate. America has led in building the global order that we see today, but the image of a world without strong American engagement is equally dismal and potentially catastrophic. Consider the chaos enveloping Libya, Egypt, and Syria. Or, consider Iran’s nuclear ambitions, North Korea’s ballistic missile tests, or the pressure on states in Eurasia as Russia and China become increasingly assertive. The list of foreign policy problems calling for American leadership is long and growing ever longer. Americans, however, have good reason to be tired of carrying the mantle of global leadership. Peoples around the world continue to benefit from the public goods that America contributes in countless ways. Now, the nation has arrived at a crossroads where America must engage others in the task of leadership. From global terrorism to climate change, the world’s problems are too great for America to confront alone. As rising nations gain regional and global influence, the international community must ask more from them. America must engage growing powers such as China to take on increased global responsibility. Worryingly, there is a long list of cases in which the United States has drifted without a grand strategy. But a grand strategy is precisely what America needs if its foreign policy is to provide clear direction and exercise leadership. Second, American grand strategy must promote a positive, hopeful, and optimistic vision for the world that it seeks to build. It cannot rest simply on what the nation wants to prevent, such as proliferation or genocide or extremism, which invoke reaction and crisis management. Instead, Americans must focus on ‘achieving.’ For too long, U.S. policy has emphasized preventing or responding to such problems as extremism, proliferation, and roguish behavior. We must return to the time in America’s history when the nation sought to achieve peace and prosperity, democracy and free markets, shared responsibility among nations, and the will to tackle pressing problems. As with earlier eras, the United States has not been and cannot credibly be a proponent of radical change or policies that seek to redefine the international order. 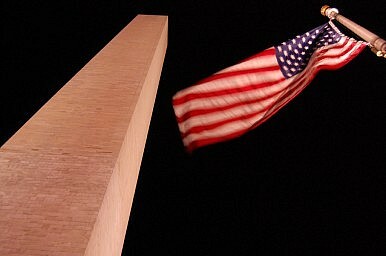 Even in the face of a monolithic ideological adversary during the Cold War, Washington was the defender of the status quo values based on democracy, freedom and prosperity. In effect, grand strategy should call for more than solving problems; it must advance an agenda that builds peace and security. This logic holds today. American grand strategy must promote a world in which states are permitted and encouraged to pursue peace and prosperity. As the hallmark of such an era, Washington’s grand strategy must be governed by both moderation and balance. The U.S. faces tremendous challenges at home and abroad. Without a grand strategy, America’s perilous drift is likely to continue, and worsen.